key should be a hash of the args and kwargs used in generating the Axes. ind is a serial number for tracking the order in which axes were added. The AxesStack is a callable, where ax_stack() returns the current axes. Alternatively the current_key_axes() will return the current key and associated axes. Add Axes a, with key key, to the stack, and return the stack. If a is already on the stack, don’t add it again, but return None. Move the given axes, which must already exist in the stack, to the top. Return a tuple of (key, axes) for the active axes. If no axes exists on the stack, then returns (None, None). Return the Axes instance that was added with key. If it is not present, return None. Remove the axes from the stack. The Figure instance supports callbacks through a callbacks attribute which is a matplotlib.cbook.CallbackRegistry instance. The events you can connect to are ‘dpi_changed’, and the callback will be called with func(fig) where fig is the Figure instance. For multiple figure images, the figure will make composite images depending on the renderer option_image_nocomposite function. If suppressComposite is True|False, this will override the renderer. If False use subplotpars; if True adjust subplot parameters using tight_layout(). Defaults to rc figure.autolayout. In all cases, the Axes instance will be returned. kwargs are legal Axes kwargs plus projection, which chooses a projection type for the axes. (For backward compatibility, polar=True may also be provided, which is equivalent to projection=’polar’). Valid values for projection are: [‘aitoff’, ‘hammer’, ‘lambert’, ‘mollweide’, ‘polar’, ‘rectilinear’]. Some of these projections support additional kwargs, which may be provided to add_axes(). The Axes instance will be returned. If the figure already has a subplot with key (args, kwargs) then it will simply make that subplot current and return it. Clear the figure – synonym for clf(). the Image, ContourSet, etc. to which the colorbar applies; this argument is mandatory for the colorbar() method but optional for the colorbar() function, which sets the default to the current image. False | If cax is None, a new cax is created as an instance of Axes. If ax is an instance of Subplot and use_gridspec is True, cax is created as an instance of Subplot using the grid_spec module. extend [ ‘neither’ | ‘both’ | ‘min’ | ‘max’ ] If not ‘neither’, make pointed end(s) for out-of- range values. 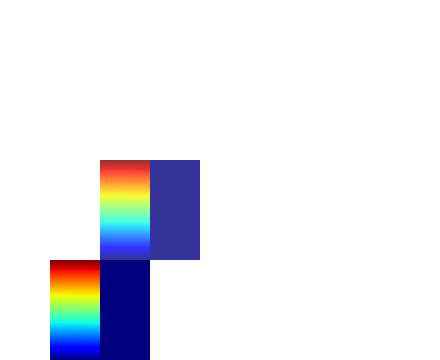 These are set for a given colormap using the colormap set_under and set_over methods. extendfrac [ None | ‘auto’ | length | lengths ] If set to None, both the minimum and maximum triangular colorbar extensions with have a length of 5% of the interior colorbar length (this is the default setting). If set to ‘auto’, makes the triangular colorbar extensions the same lengths as the interior boxes (when spacing is set to ‘uniform’) or the same lengths as the respective adjacent interior boxes (when spacing is set to ‘proportional’). 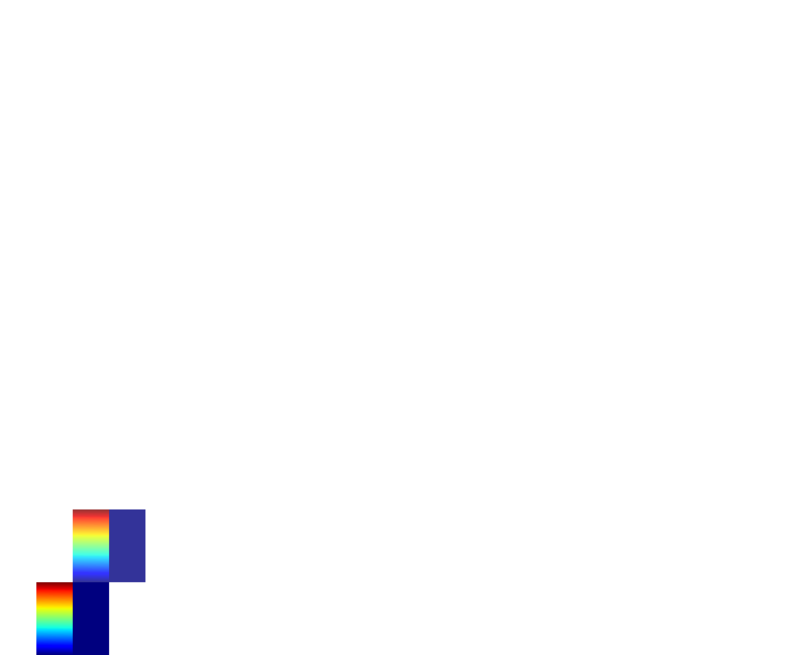 If a scalar, indicates the length of both the minimum and maximum triangular colorbar extensions as a fraction of the interior colorbar length. A two-element sequence of fractions may also be given, indicating the lengths of the minimum and maximum colorbar extensions respectively as a fraction of the interior colorbar length. spacing [ ‘uniform’ | ‘proportional’ ] Uniform spacing gives each discrete color the same space; proportional makes the space proportional to the data interval. format [ None | format string | Formatter object ] If None, the ScalarFormatter is used. If a format string is given, e.g. ‘%.3f’, that is used. An alternative Formatter object may be given instead. drawedges [ False | True ] If true, draw lines at color boundaries. Note that the shrink kwarg provides a simple way to keep a vertical colorbar, for example, from being taller than the axes of the mappable to which the colorbar is attached; but it is a manual method requiring some trial and error. If the colorbar is too tall (or a horizontal colorbar is too wide) use a smaller value of shrink. However this has negative consequences in other circumstances. Particularly with semi transparent images (alpha < 1) and colorbar extensions and is not enabled by default see (issue #1188). Colorbar instance; see also its base class, ColorbarBase. Call the set_label() method to label the colorbar. Adds a non-resampled image to the figure. adds a non-resampled array X to the figure. vmin|vmax are used to scale a luminance image to 0-1. If either is None, the min and max of the luminance values will be used. Note if you pass a norm instance, the settings for vmin and vmax will be ignored. figimage complements the axes image (imshow()) which will be resampled to fit the current axes. If you want a resampled image to fill the entire figure, you can define an Axes with size [0,1,0,1]. 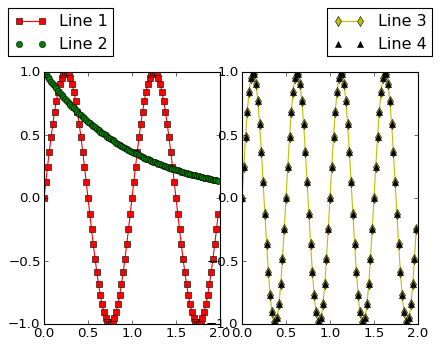 An matplotlib.image.FigureImage instance is returned. Return the Boolean flag, True to use :meth`tight_layout` when drawing. It only accounts axes title, axis labels, and axis ticklabels. Needs improvement. This will wait for n clicks from the user and return a list of the coordinates of each click. If timeout is zero or negative, does not timeout. If n is zero or negative, accumulate clicks until a middle click (or potentially both mouse buttons at once) terminates the input. Right clicking cancels last input. The buttons used for the various actions (adding points, removing points, terminating the inputs) can be overriden via the arguments mouse_add, mouse_pop and mouse_stop, that give the associated mouse button: 1 for left, 2 for middle, 3 for right. Set the hold state. If hold is None (default), toggle the hold state. Else set the hold state to boolean value b.
loc can also be an (x,y) tuple in figure coords, which specifies the lower left of the legend box. figure coords are (0,0) is the left, bottom of the figure and 1,1 is the right, top. A matplotlib.font_manager.FontProperties instance. If prop is a dictionary, a new instance will be created with prop. If None, use rc settings. The relative size of legend markers vs. original. If None, use rc settings. If True, draw a shadow behind legend. If None, use rc settings. Padding and spacing between various elements use following keywords parameters. The dimensions of these values are given as a fraction of the fontsize. Values from rcParams will be used if None. Not all kinds of artist are supported by the legend. See LINK (FIXME) for details. A string containing a path to a filename, or a Python file-like object, or possibly some backend-dependent object such as PdfPages. If format is None and fname is a string, the output format is deduced from the extension of the filename. If the filename has no extension, the value of the rc parameter savefig.format is used. If fname is not a string, remember to specify format to ensure that the correct backend is used. The resolution in dots per inch. If None it will default to the value savefig.dpi in the matplotlibrc file. One of ‘letter’, ‘legal’, ‘executive’, ‘ledger’, ‘a0’ through ‘a10’, ‘b0’ through ‘b10’. Only supported for postscript output. Bbox in inches. Only the given portion of the figure is saved. If ‘tight’, try to figure out the tight bbox of the figure. Amount of padding around the figure when bbox_inches is ‘tight’. Set whether tight_layout() is used upon drawing. If None, the rcParams[‘figure.autolayout’] value will be set. For non-GUI backends, this does nothing, in which case a warning will be issued if warn is True (default). A matplotlib.text.Text instance is returned. Add text to figure at location x, y (relative 0-1 coords). See text() for the meaning of the other arguments.